This spring quiche harbours the distinctly nutty taste of fiddleheads, the delicious smokiness of bacon, and a green taste of the wild uniquely found on Vancouver Island. It’s the perfect pairing for our newly released 2015 Prevost: medium-bodied, lively acidity and a cheeky bit of pepper on the finish. *Choose fiddleheads with tight spirals free of any yellowing. Consume them as quickly as possible and never consume raw. Prepare pastry crust, roll out and place in a tart pan or pie plate. Keep in the fridge until ready to fill. Coarsely chop your fiddleheads. Melt butter in a hot skillet. Add fiddleheads, salt and pepper to flash fry. Remove and set aside to cool. 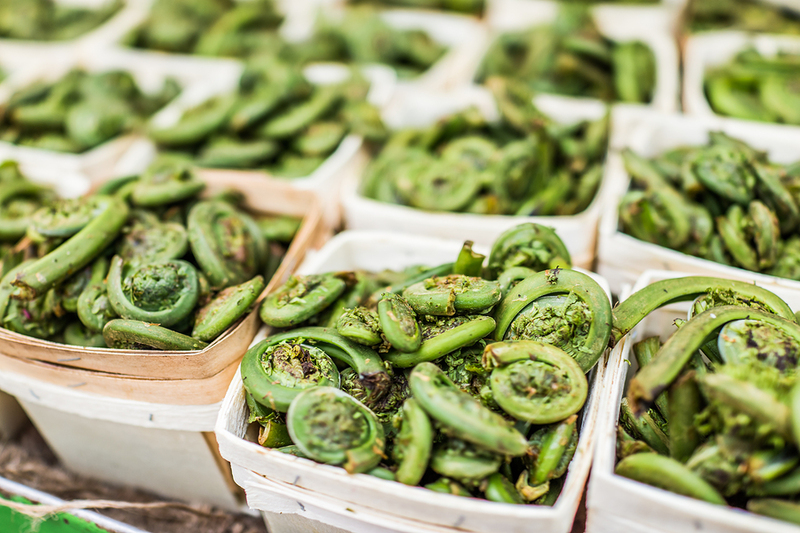 *Fiddleheads should still be crunchy. In a large bowl, combine all ingredients except for the fiddleheads, and whisk until the eggs and cheese are well incorporated. Add fiddleheads to the egg and cheese mixture, stir gently. Pour the egg mixture into the prepared crust and bake for about 45 minutes until the center is set and the crust is golden brown. Cool on a rack for at least an hour. Top the quiche with the shaved Parmesan and fresh spring onions. Serve warm or at room temperature paired with Averill Creek’s 2015 Prevost.